Authentic Leaders Edge focuses on the personal side of leadership: supporting the person who is a leader to confidently know who they are and pay that forward. Teaching leaders the importance of taking charge of their success by establishing their credibility, elevating their visibility and showcasing their value unapologetically. This naturally has them contributing in a bigger way. Who leaders are being, affects others and how business gets done. Our mission is to help leaders globally to prioritize their ‘to be list’ to better accomplish their ‘to do list’. Thinking first about who they are being. It impacts the way they lead, the environment they create, the relationships they develop and their ability to achieve extraordinary results. Our promise is to focus on the person in becoming the leader they choose to be. Acting with integrity. Building trust. Being transparent. Delivering on what matters most to the leader and the organization. Our difference is in teaching leaders how to think through how they want to be known than guiding them in developing what it takes to make that happen. They participate in defining their ‘new normal’ that stretches them, expands their way of thinking and accelerates the results they are able to achieve. Developing the person, who is a leader, is the most direct path to creating change and accelerating the economic health of an organization. We have witnessed when leaders are clear about who they are; they make bold moves, are fully present, adaptable, generous and confident in all that they do. This adds depth to the relationships they create and builds trust in how business gets done. Work with Authentic Leaders Edge to develop the agile leaders of tomorrow and a culture where people come first. Dorothy Lazovik is passionate about empowering leaders to think about who they are being to show up as their best self. She believes that any leader who is given the right tools can change regardless of where they start. Dorothy has been coaching executives and facilitating transformational leadership training in the corporate and university environments since 2002. Her signature program, Personal Brand Mastery, supports leaders to emerge top in their field and be seen as indispensable. Focusing on the leader as a person to help them elevate their presence, establish their credibility, position their value and master their inner game to achieve repeatable success. 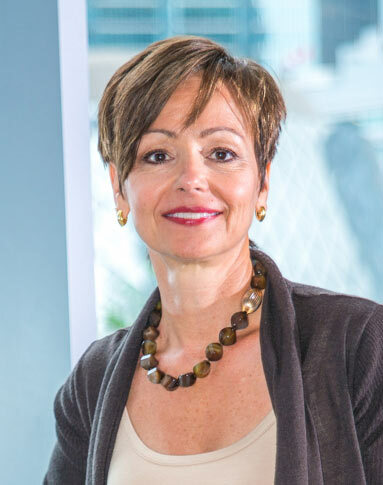 A few of her clients include Rotman School of Management, TELUS, Home Depot, MEC Canada, Hewlett Packard Enterprise, Loblaw Companies Limited, Express Scripts Canada, Hitachi Vantara, Kenaidan Contracting Ltd., Union Gas, and Enbridge, to name a few. Dorothy has been nominated for the RBC Canadian Woman Entrepreneur Award for seven consecutive years (2008-2014). She is a co-author of Blind Spots: Solving Hidden Business Problems. She is a contributing author to magazines and newspapers articles, as well as a sought-after expert for broadcast interviews. Dorothy gives back to her community by devoting time to working with women against violence to support them in taking charge of their lives. She also mentors young professionals in developing their personal brand blueprint for success. Dorothy believes the easiest way to be your best, is to be yourself.